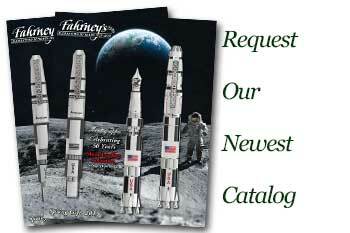 Order your Cross Century Classic 170th Anniversary Sterling Silver Ballpoint Pen Gift Set today from FahrneysPens.com. Fine Pens, Refills & Luxurious Gifts – great prices & fast shipping. The coveted Classic Century 170th Anniversary gift sets not only mark the 70th Anniversary of the most iconic Cross pen, but also celebrate America’s oldest manufacturer of fine writing instruments, established in 1846. For the commemorative special edition, the world-renowned Classic Century ball pen is engraved with ‘170th Anniversary’ and the revived Cross lion head brand logo. The slim, twist ball pen is offered in sterling silver or 14K gold filled/rolled gold finish with a finely-etched line pattern and an engraving panel on the cap for personalization. Each Cross 170th Anniversary ball pen is presented in a luxury box that holds an exclusive, vintage leather pen case and a card featuring the history of Cross. Celebrate the most gifted pen of all time and the brand’s history-making achievements with the Cross 170th Anniversary set.